Having a Positively Delighted life doesn't mean that everything will always be rainbows and sunshine. It’s an outlook and a tool that you can use to get through the tough times too. When you are going through the loss of a relationship, job, current way of life, or even your dream for the future, it is more than okay to hurt. It is okay to feel pain, sadness, anger, and everything in between. These emotions are powerful and will give you the strength to heal, when you are ready. To get to that point, you have to change the way that you let these emotions affect you. No big deal right? As painful as it might sound… the only way to change your perspective is to lean into these emotions. Lean into your emotions and see what they can tell you. Let it out and feel alllllllll the feels. Your emotions are not the enemy. They are trying to tell you something. All you have to do is listen. Reciting these affirmations will help you start to shift your love and attention back to yourself. You are your own best healing buddy after all. There is a world of wonder waiting for you. You just have to open your eyes and your heart to see it. Open your heart to the possibilities of love and happiness that await you in your future. There is a light at the end of this tunnel. You don't have to see it yet, but when you do, don’t lose sight until you find the way out. “I am thankful for the ways that I positively inspire the people around me." In tough times, it’s easy to fall into isolation. Sometimes we battle with our feelings and have trouble sorting through them. During this time of hurting and healing, just know that you are loved. You are an incredible human being that deserves to be loved. Let the weight of your pain release in this truth. “Thank you for the love surrounding me." Hours turn into days, which fly by all too quickly. Sometimes life can move so fast that it is hard to catch up. Other times, it moves so slow that it feels like it will never pass. During this healing process, it is important to give yourself time to just “be”. This could mean sitting for a few minutes and some deep breathing. It could also mean losing yourself in a good book. Pick whatever feels right to you and start there. “Thank you for taking care of me." 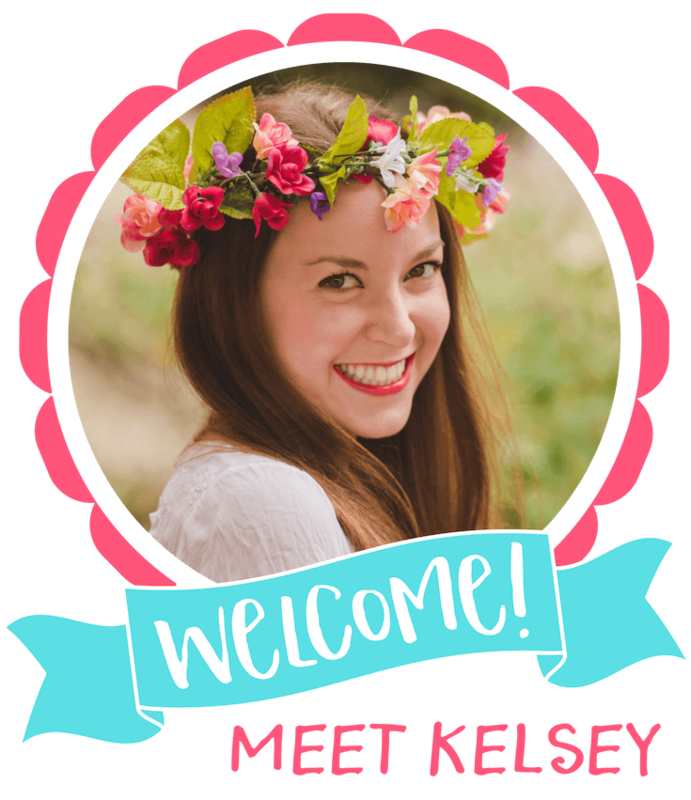 I love guided meditations, especially the ones from Boho Beautiful. This meditation is perfect for opening your heart to healing. 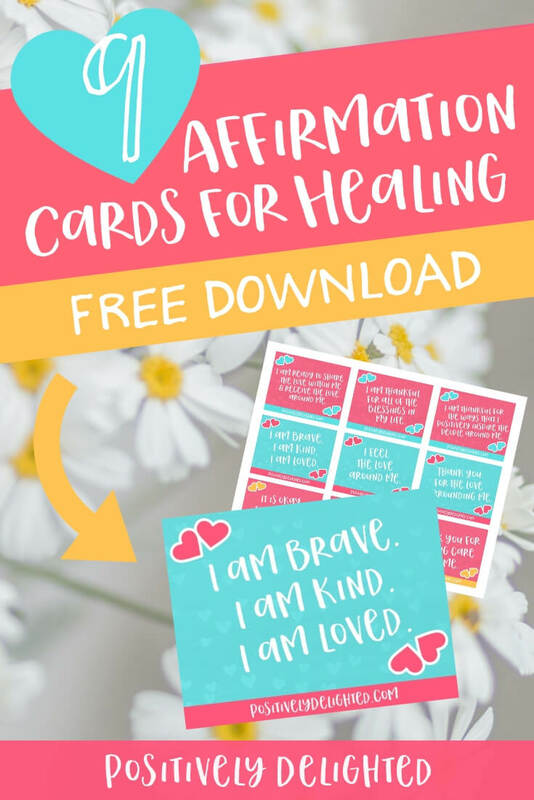 These affirmation cards feature all 9 of the healing affirmations from this post. Print out these affirmation cards and place them where you will see them often, such as your bathroom mirror or your vision board. Recite them as often as needed and remember to lean into your emotions. Save to your "Self-love" Pinterest board for later!